Distance between posts 2650 mm. 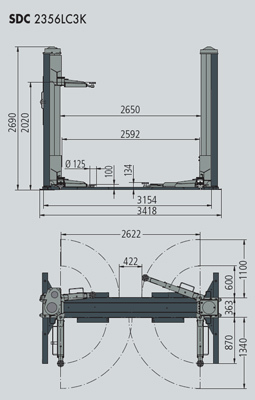 Asymmetric 3-stage short arms 600/1100 mm and 2-stage long arms 870/1340 mm for passenger cars and medium-size vans lifting. "K" arms for quick drop-in pad extensions. 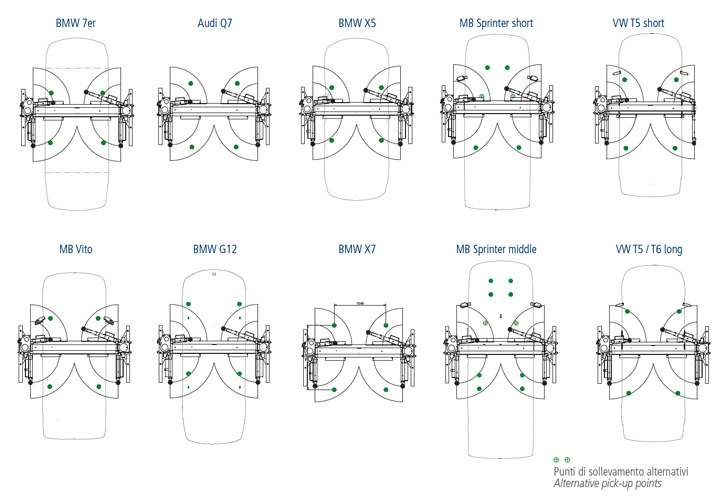 Herebelow the relevant lift layout and some examples of its chargeability showing it can lift from short wheelbase cars to medium-size vans like the VW Transporter 5, long wheelbase. 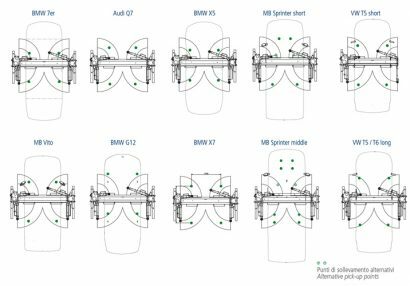 The new SDC2356LC3K model is an interesting option, as it is positioned between the "first-price" models and the models expressly designed for vans and commercial vehicles. We remain available to provide any further information and price proposal.